Originally published in 1960. Is there an art of autobiography? What are its origins and how has it come to acquire the form we know today? For what does the autobiographer seek, and why should it be so popular? This study suggests some of the answers to these questions. It takes the view that autobiography is one of the dominant and characteristic forms of literary self-expression and deserves examination for its own sake. 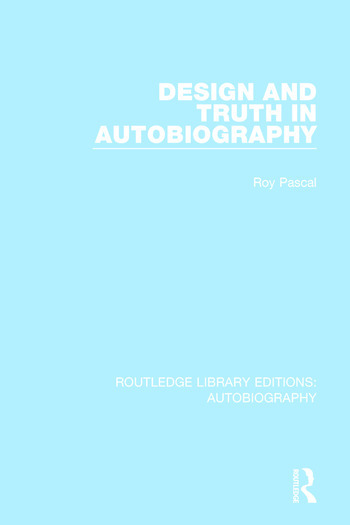 This book outlines a definition of the form and traces its historical origins and development, analyses its ‘truth’ and talks about what sort of self-knowledge it investigates.